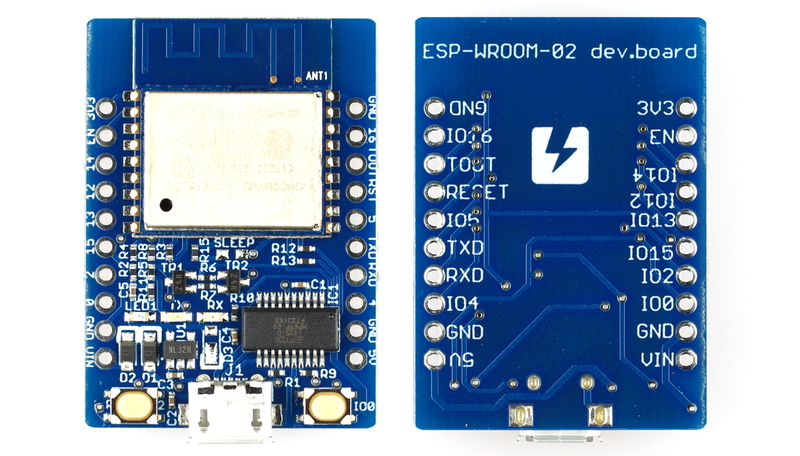 It is a development board with ESP-WROOM-02 and USB Serial converter IC (FT231XS). 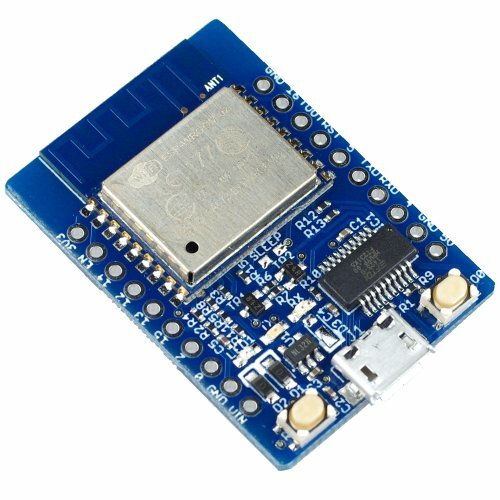 It also has a 3.3 V output regulator, reset switch and an running mode switcher which enables you to use your ESP-WROOM-02 Wi-Fi right away. Solder pin headers to bread board. 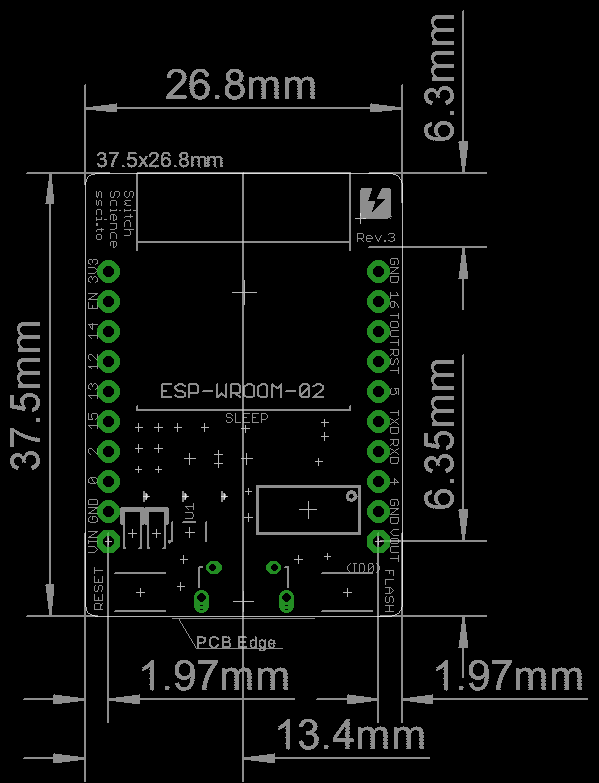 Pin headers not included. Also defects might occur when using VIN pin with Rev.2 on the back. This has been improved from Rev.3. 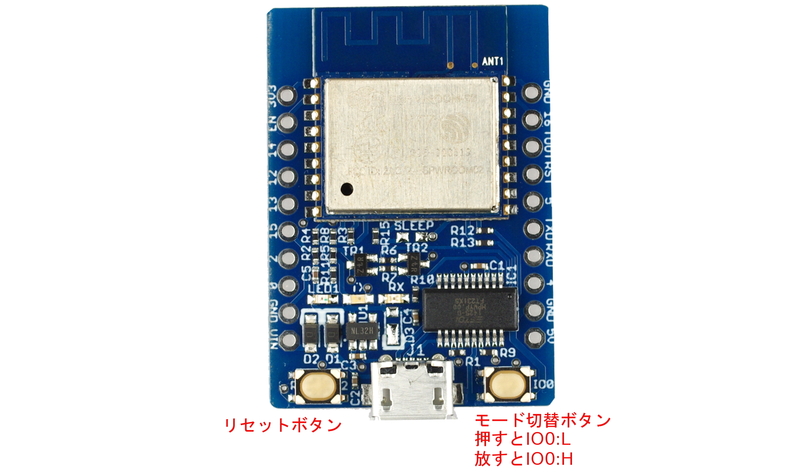 All the products have switched to Rev.3 as of July 29th 2016.